Welcome to the Adirondack Ayudveda Blog! Hello, my name is Linda Tipke. I am the founder and owner of Adirondack Ayurveda in Queensbury, NY. I have a Masters degree in Elementary and Special Education with 35 years of experience in working with children ages preschool through teens, primarily those with autism. I hold a 650 hour Ayurvedic Health Counselor Certification from the Kripalu School of Ayurveda in Massachusetts. 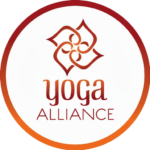 I am licensed to teach Yoga for the Special Child® and am certified instructor of Divine Sleep® Yoga Nidra. I recently formed Adirondack Ayurveda because I wanted to combine my practice as an Ayurvedic Health Counselor with my years of teaching experience. Ayurveda is for everyone; children and adults alike. It is my intent monthly to share information about Ayureveda with you through my website, www.adkayurveda.com. Together we can explore Ayurvedic principles, daily care habits (dinacharya) and a lifestyle that fosters health, peace and ease. Learn about a diet that supports your individual constitution (dosha), recipes, beauty tips, and more. It is my hope that you will embrace Ayurveda, or even just ‘try it on’, work with it. Just one small change can put both children and adults onto a path of health. Please join me on this journey to achieve a healthy mind, body and spirit! I can be contacted regarding Ayurvedic Consultations and Workshops, Yoga for the Special Child® and Divine Sleep®Yoga Nidra private or group instructions, Ayurvedic birthday parties and elementary and special education tutoring sessions in Lake George, Queensbury, Glens Falls and surrounding areas. Why Cleanse, and Why in the Spring? Adirondack Ayurveda :: Linda Tipke :: 518-538-7712 :: Website by eVision Digital Marketing.